If you’re a business owner or the facilities manager, we at OfficeClean.ie offer high quality contract cleaning services in Dublin and Ireland that will suit all your needs. Not only are cleaning services convenient, they are also indispensable to properly maintaining business facilities. Keeping employees safe and healthy is a top priority in business. Using our well trained staff to clean facilities will ensure proper elimination of bacteria and other unhealthy environmental factors. Facilities that require the discarding of certain chemicals and other harmful waste need fully trained personnel to properly dispose of these items. We at OfficeClean.ie lead the way in Dublin and Ireland for hiring and training fully qualified individuals for these tasks. Each company has different office cleaning needs and we will work with you to formulate a cleaning plan that targets all of your facilities needs. We know that some business environments will not allow contract services during business hours. That is why we offer flexible cleaning schedules to work around your busy hours. At Office Clean, we keep safety as a number one priority for your employees and ours. That is why we use the Reach and Wash Thermo Pure System which allows complete window reach from the ground. We use high grade cleaning products that will cut through dirt and grime in your facility. With our professionally trained staff, we keep buildings well maintained which aids in boosting office morale. 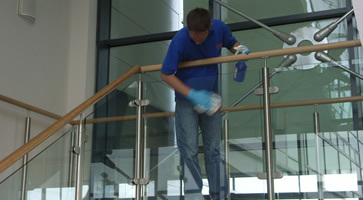 With a professional contract cleaning service, all surfaces and areas of a building will get cleaned. Our staff will not overlook a corner when it comes to cleaning. All of the staff from OfficeClean.ie will always arrive at your business in proper cleaning attire. We look professional and send the signal to your clients that you take the health and safety of those around you seriously. You can conveniently purchase basic office hygiene supplies and necessities from OfficeClean.ie for competitive prices. The most important reason you should hire OfficeClean.ie for all of your contract and office cleaning needs is that we free you up to focus on what you do best – running your business! 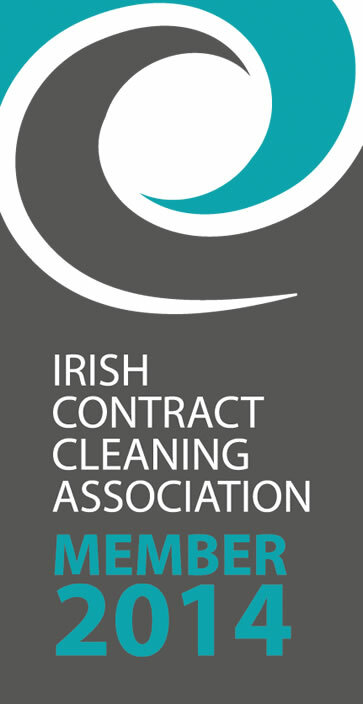 Whatever your professional contract, office, or window cleaning needs in Dublin and Ireland happen to be, let OfficeClean.ie work with you to raise and maintain your cleaning standards.